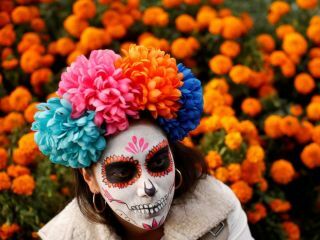 The Day of the Dead is an ancient pre-Hispanic tradition which has been practiced for thousands of years. Like many modern Mexican traditions, it developed from the fusion of Spanish and indigenous cultures. The belief is basically this: once dead, the departed go off to a place in the Netherworld (Mictlán) ruled over by the Goddess of Death, Mictecacihuatl. Each year, the deceased return to their place of burial to be with their loved ones who can still be found among the living. For their or our part, the mortals among us take them their favorite drinks, food, and/or other vices such as cigarettes, which are placed underneath a specially made altar dedicated to the deceased. In 2008, UNESCO declared Day of the Dead to be Intangible Cultural Heritage of Humanity. The central plaza of Cozumel will, "come alive" from October 31st through November 2nd with a fun-filled cultural program celebrating Day of the Dead. Altars will be set up around the plaza and there will be tons of music, food, and flowers to celebrate the departed. 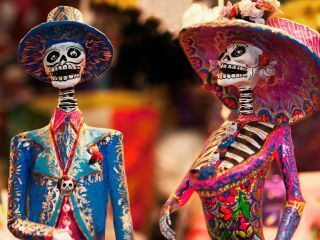 Expect to find a nice Day of the Dead exhibition as well as the Cozumel Museum, which will feature a fascinating tribute to the creator of the first Catrina, Jose Guadalupe Posadas. You may also want to check out one of the island’s two cemeteries for a more intimate experience of the sacred cycle of life and death on Cozumel Island. 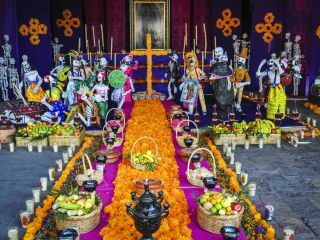 Finally, from October 30 through November 2, El Pueblo del Maiz is organizing the festival “Because Life is Born of Death” each evening from 6:00 p.m. to 9:00 p.m. Activities include an interactive tour, workshops, and samples of typical Day of the Dead dishes.